We are hoping to bring you all the very best that Silves has to offer. Find what you are looking for using the search menu on the left. 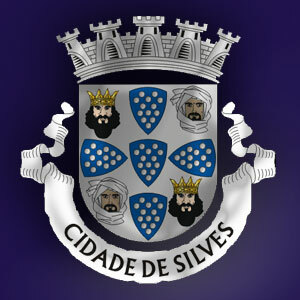 ​​See below for a brief history and some further information about Silves. The origin of this town traces back to around 1.000 BC, and it was already a well established place in Roman times. Silves was also the ancient Moorish capital of the Algarve, and still today it is filled with many interesting things to do and see. The town itself is an enchanting and quaint place filled with citrus trees and perched right on the banks of the Arade River (Rio Arade). Silves is a beautiful place to relax and take it easy, and is not far from the new shopping centre in Portimão for a 'spree', if needed. The earthquake of 1755 sadly destroyed most of the original town and its historic buildings, but the remains of the Moorish castle are still impressive, and the huge underground water reservoir is still used by the city today. The best known monument is 'Castelo de Silves', which is now the best preserved castle in the entire Algarve. ​​There is usually a traditional Medieval Fayre that takes place inside the castle walls for a week during summer, ​with street entertainers, belly dancers, unique market stalls, plenty to eat and drink and even the odd 'jousting' competition. The atmosphere alone is worth the trip!